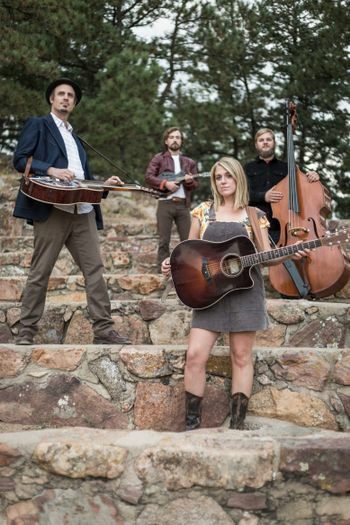 Erinn formed the band in the fall of 2013 when she moved to Colorado from Brooklyn, NY. Since then, she has added the classical talents of Ian Haegele (Upright Bass), the smooth sounds of Chris Herbst (Dobro/Lap Steel), the crisp chop from Dylan McCarthy (mandolin), and sometimes the beautiful melodies provided by Natalie Padilla (Fiddle). The band is excited to have Natalie join them on their upcoming Spring 2019 tour to the UK.